Fascinating use of Social Identity Theory (SIT) and Self-Categorisation Theory (SCT) to explain recovery via recovery groups and communities (1). SIT pro- poses that, in a range of social contexts, people’s sense of self is derived from their membership of various social groups. The resulting social identities serve to structure (and restructure) a person’s perception and behaviour – their values, norms and goals; their orientations, rela- tionships and interactions; what they think, what they do, and what they want to achieve (Tajfel & Turner, 1979; see also Haslam, 2014). SCT explains not only when and why groups come to define the self, but also how particular individuals achieve standing within the group. “Recovery is predicated on the idea of substance user empowerment and self-determination, using the metaphor of a ‘journey’. Previous research describing recovery journeys has pointed to the importance of identity change processes, through which the internalised stigma and status of an ‘addict identity’ is supplanted with a new identity (1). This theoretical paper (1) “argues that recovery is best understood as a personal journey of socially negotiated identity transition that occurs through changes in social networks and related meaningful activities. Alcoholics Anonymous (AA) is used as a case study to illustrate this process of social identity transition. In line with recent social identity theorising, it is proposed that (a) identity change in recovery is socially negotiated, (b) recovery emerges through socially mediated processes of social learning and social control, and (c) recovery can be transmitted in social networks through a process of social influence. The Betty Ford Institute Consensus Panel defines recovery from substance dependence as a ‘‘voluntarily maintained lifestyle characterised by sobriety, personal health and citizenship’’ (2007, p. 222). This position is consistent with the UK Drug Policy Commission statement on recovery as ‘‘voluntarily sustained control over substance use which maximises health and wellbeing and partici- pation in the rights, roles and responsibilities of society’’ (2008, p. 6). These definitions emphasise a process of ‘‘personal’’ transformation that is evident in observable outcomes across multiple domains of functioning and supported by abstinence or increased control over substance use. In contrast, client-led perspectives on recovery, such as Valentine’s (2011) statement ‘‘you are in recovery if you say you are’’ (p. 264), emphasise the importance of the subjective experience of change. This definition is consistent with the mental health recovery model advanced by Deegan (1988). She argues that recovery constitutes the lived experience of people as they accept and overcome the challenge of disability, ‘‘recovering a new sense of self and of purpose within and beyond the limits of the disability’’ (Deegan, 1988, p. 54). These two types of definitions differ, with the former based on external and observable behaviours and the latter on subjective states and experiences. What they have in common is their failure to identify the mech- anisms of change, or the social context in which change occurs. Instead, both focus on the characteristics of those ‘‘in recovery’’ or who regard themselves as ‘‘recovered’’. Yet, when it comes to matters of policy and practice, knowing how to identify a person who is ‘‘in recovery’’ tells us very little about how to assist them in their recovery journey. …in this article, we examine the contribution of social identity processes to recovery using the example of Alcoholics Anonymous (AA). This program provides the basis for a strong social identity that supplants a salient addict identity to support recovery. In this context, we consider the role of social connections in the recovery journey (e.g. changes in friendship networks and group memberships), and the resulting impact on identity and self-definition. A key argument here is that identity change is bound up with AA group membership and its capacity to furnish active members with a new sense of social identity. Recovery as a process of social group change Existing evidence from the alcohol and other drugs (AOD) field highlights the important role of social groups in recovery. More specifically, a review of evidence supports claims that simply belonging to one or more social groups or networks is supportive for recovery (Best et al., 2010). …support for this argument comes from a study of 141 cocaine-dependent individuals by Zywiak et al. (2009). This found that patients who had better treatment outcomes typically had larger social networks, more frequent contact with their social network and an increase over time in the proportion of people in their social network who did not use any substances, including alcohol. In other words, amongst people with problems relating to cocaine use, those with the best outcomes were more socially connected, particularly with social groups whose norms were not supportive of continued substance use. Increasing the availability and appropriateness of recovery-oriented social networks may also be crucial to long-term recovery from addiction. Beattie and Longabaugh (1999) reported that whilst both general social support and abstinence-specific support predicted abstinence at three months post-treatment amongst formerly alcohol-dependent people, only social support for abstinence predicted longer-term abstinence (at 15 months post-treatment). … transition to sustained recovery was underpinned by a move from a social network supportive of problematic drinking to one supportive of recovery. the benefits of social support for recovery (which may take the form of information or practical assistance, emotional support and a sense of belonging) appear to be dependent on the degree to which those providing support are perceived to be relevant, similar and connected to the self. …support is likely to be most effective (i.e. most likely to be welcomed and taken on board) when those who provide it are seen to embody a shared sense of identity (i.e. as ‘‘one of us’’; Jetten, Haslam, Haslam, Dingle, & Jones, 2014; Haslam, O’Brien, Jetten, Vormedal, & Penna, 2005). The idea that identity change is central to recovery was first advanced by Biernacki (1986) who argued that, in order to achieve recovery, ‘‘addicts must fashion new identities, perspectives and social world involvements wherein the addict identity is excluded or dramatically depreciated’’ (p. 141). Building on this theme, McIntosh and McKeganey (2000, 2002) collected the recovery narratives of 70 former addicts in Glasgow, Scotland and concluded that, through substance misuse, the addicts’ ‘‘identities have been seriously damaged by their addic- tion’’ (McIntosh & McKeganey, 2002, p. 152). This ignores other identities that the person may hold, the wider social context of groups they may belong to and the impact of their social network on substance-related behaviour. 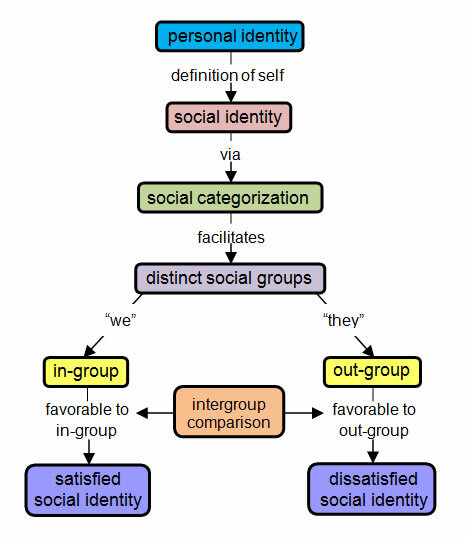 In this regard, the value of taking a social identity perspective – as we do in the social identity model of recovery (SIMOR) outlined below – is that it avoids framing addiction and recovery in moralistic terms, as the ‘‘un-spoiling’’ of a spoiled identity. Instead, it frames recovery as involving changes in a person’s social world that coincide with changes in a socially derived sense of self, thus broadening appreciation of the ways in which recovery can occur. This model frames the mechanism of recovery as a process of social identity change in which a person’s most salient identity shifts from being defined by membership of a group whose norms and values revolve around substance abuse to being defined by membership of a group whose norms and values encourage recovery. This emerging sense of self is shared with others in recovery, thus strengthening the individual’s sense of belongingness within recovery- oriented groups. This emerging social identity is grad- ually internalised, so that the individual comes to embody the norms, values, beliefs and language of recovery-oriented groups. This, in turn, helps the individual shape and makes sense of changes in substance-related behaviour, and reinforces the new social identity. As noted earlier in discussing the influence of social networks on adolescent substance use, individuals are more willing to be guided by others when those others are seen as ‘‘one of us’’ rather than ‘‘one of them’’. As Hogg and Reid observe, in these terms, social influence can be understood as ‘‘the internalisation of a contextually salient in-group norm, which serves as the basis for self-definition, and thus attitude and behaviour regulation’’ (2006, p. 14). The extent to which one’s sense of self is derived from membership of a group will have a range of consequences for both perception and action. Overcoming alcohol and other drug addiction as a process of social identity transition: the Social Identity Model Of Recovery (SIMOR). Available from: https://www.researchgate.net/publication/281643200_Overcoming_alcohol_and_other_drug_addiction_as_a_process_of_social_identity_transition_the_Social_Identity_Model_Of_Recovery_%28SIMOR%29 [accessed Sep 14, 2015].